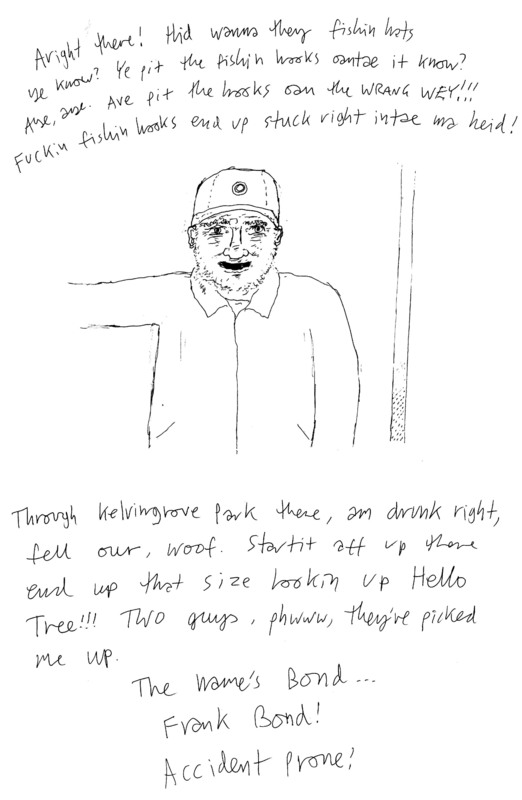 Image | This entry was posted in On public transport and tagged drink, fishing, hats. Bookmark the permalink. 1 Response to Aright there! Hid wanna they fishin hats ye know? Superb… another keek at Glasgows underbelly!